Poker is a family of various card games played by two or more player who bet on the value of their hands. 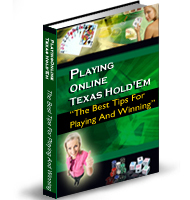 Numerous versions exist with each version differing based on the number of cards dealt, specific nuances and rules, betting limitations and hand rankings. The exact origin of poker is unknown. The first known reference to poker was in 969 AD in China. The Emperor Mu-Tsung was reported to have played a game with his wife known as ‘Domino Cards’. The Persians were known to play two games in the 16th Century including a 96-card game known as ‘Ganjifa’ and a 25-card game known as ‘As Nas’. In Europe, several versions of these early game evolved including the German game ‘Pochspiel’, as well as the French game ‘Poque’. Unreferenced in all the different variations of card games throughout history, the modern version of poker differs greatly with a unique focus on betting. This modern version of gambling is through to have originated in around the Mississippi River in the United States of America around the mid 1700s. It is commonly believed that French colonials introduced their national game ‘Poque’ and this started the modern versions of poker that we known today. Early versions of the game involved 20 cards (AKQJT) and four players. There was no draw and bets were made on a narrower range of combinations including one pair, two pair, triplets, full and four of a kind. There was no straight, flush or royal flush at this point. In the mid 1830s, the 52-card version was gradually adopted partly to accommodate more player and to give more scope to the recently introduced flush. Poker now reached the pages of American Hoyle. Around 1845, Poker began introducing the ‘draw’. The improved the game by allowing a second round of betting and providing initially poor hands the ability to dramatically improve. From the middle of the 19th century, poker changed rapidly and became more widespread with modern day variations all starting to take form. The modern history of poker can be attributed to a few key events over the last decades that catapulted poker into the mainstream. The first event to publicise poker is the release of the 1998 film ‘Rounders’ starring John Malkovich, Edward Norton and Matt Damon. The next key step in the history of poker is the modernisation of poker including easily accessible televised tournaments with hole card cameras including the likes of the World Series of Poker and the World Poker Tour. The final event that changed the history of poker forever is the victory of Chris Moneymaker, an unknown amateur player, in the 2003 World Series of Poker.